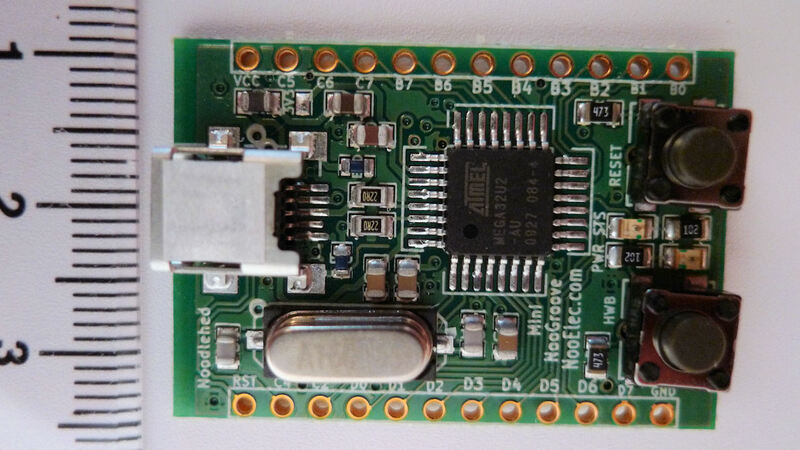 This is a low cost microcontroller, less than $5 in a qty of 1. ATmega ready-made boards are cheap, around $20, and this variant doesn’t need a specialist programmer tool (just uses USB). The board in the photo is documented here. Another boards that looks just as usable (not tried) is the ‘Minimus 32’ available from http://www.modtraders.co.uk for £12.95. Notes are here, in this guide programming_microcontrollers3.pdf on all the steps. The guide should be suitable for complete beginners (shows how to write code and how to program microcontrollers).